Use the map to view information about active and recent wildfires across the state. Click on the "fire" icon to find out more about each wildfire. Add map layers to view radar, wind conditions and more information. A report released June 1 provided a wildfire outlook for the hot, dry summer months in California. 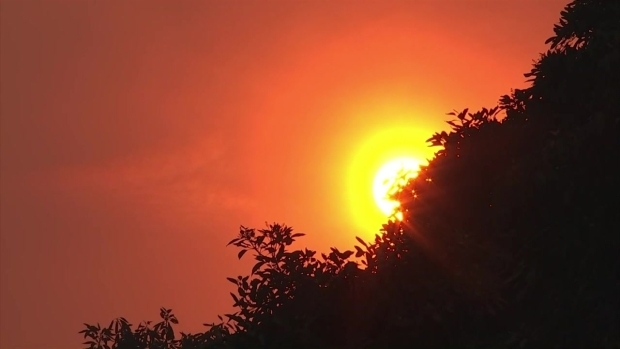 The National Interagency Fire Center report said wildfire risk will be high in inland Southern California in July and in parts of Northern California during August and September. The report noted what could be a delayed start to the wildfire season in some locations. The state is coming off one of its wettest winters in years, which left hillsides covered in grass and other vegetation. That grass will dry out this summer and turn into tinder, providing fuel for rapidly spreading fires often pushed by strong winds. App users, click on the link below to access the mobile site and view the map.